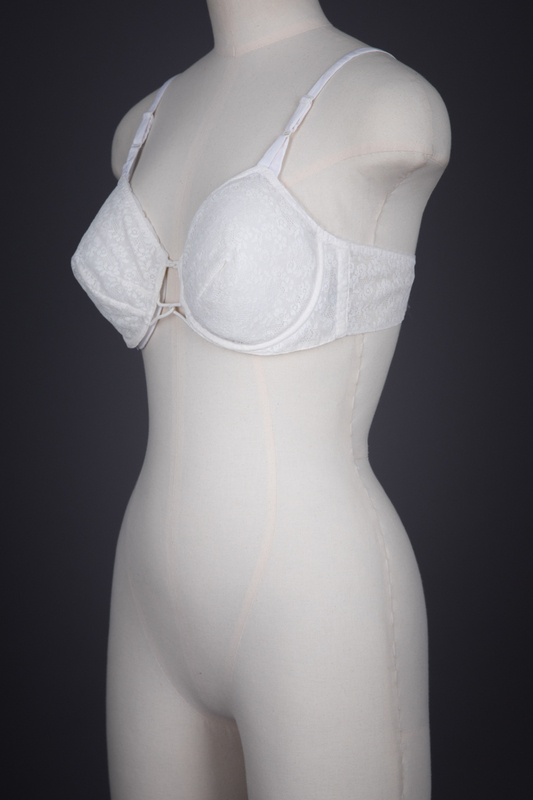 This underwired lace bra was likely part of Christian Dior’s 1957 ready-to-wear foundationwear license to the R. & W. H. Symington company in England. As with the other longline Dior bra in our collection, this is an iconic 1950s design, combining both luxurious design with the defining pointed bust line of the era, and the same ‘signature’ Dior lace. 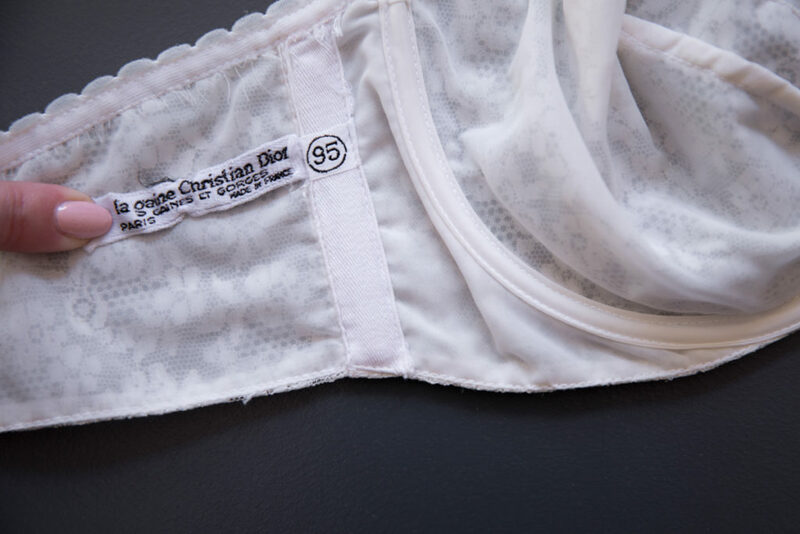 The lace outer cups are lined in nylon mesh, and are cut for a pointed bust silhouette. The underwired cups are joined with decoratively looped nylon tubing to form the centre front gore. The shoulder straps are lined with velvet, and can be adjusted with enamelled metal components. The fit is overall quite rigid, with only a small piece of elastic inserted into the centre back fastening for flexibility. Perhaps the most interesting element of this design is the velcro closure: Dior was perhaps one of the first design houses to use this relatively new technology in lingerie (the fastening was first patented in 1955 by Swiss electrical engineer George de Mestral). Several brand advertisements focused on the exclusivity of this new fastening. 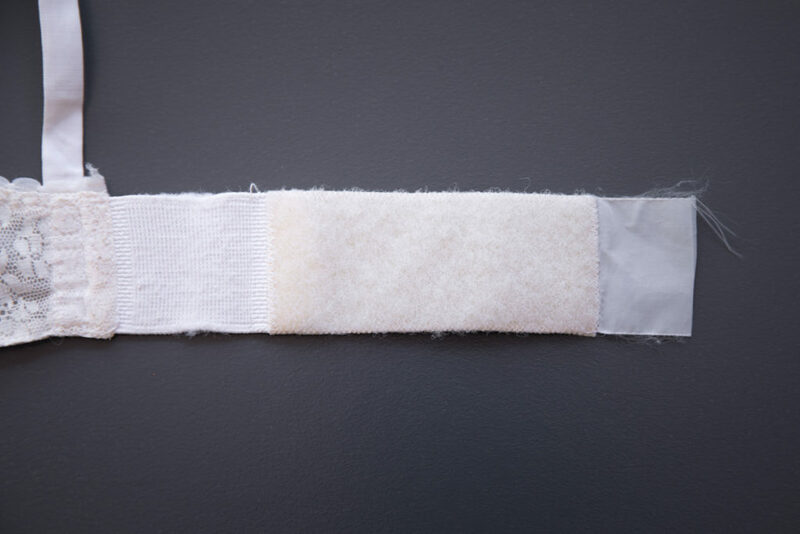 Unfortunately the fastening never gained popularity, perhaps due to the potential discomfort of the ‘hook’ side of velcro against the skin, and the tendency to catch on outer clothing. 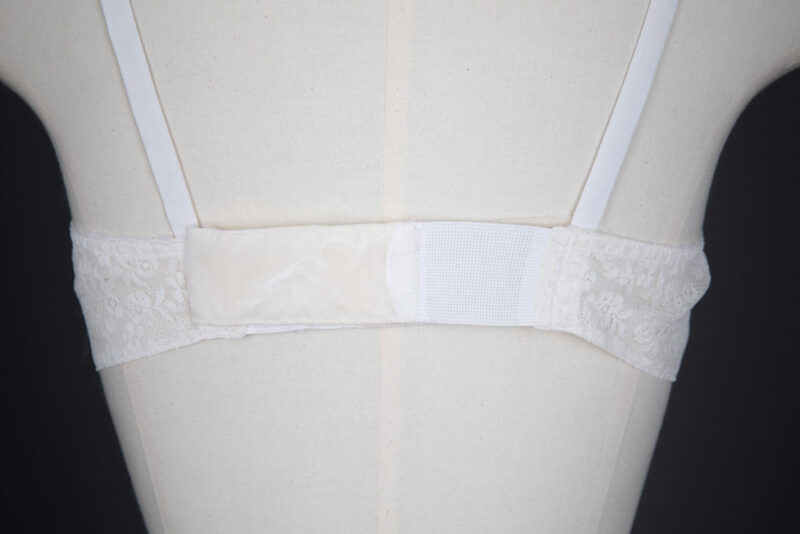 The ready-to-wear Dior lingerie collections of the late 1950s saw signature design elements such as luxurious laces, lattices of velvet ribbon and velvet linings. Colourways were either white with sugar pink trimming or plain black. The collections were extremely high end: the combination of difficult construction and design, French-sourced materials and limited market meant that stock was limited and prices were high. Nevertheless, the collection was a great success. 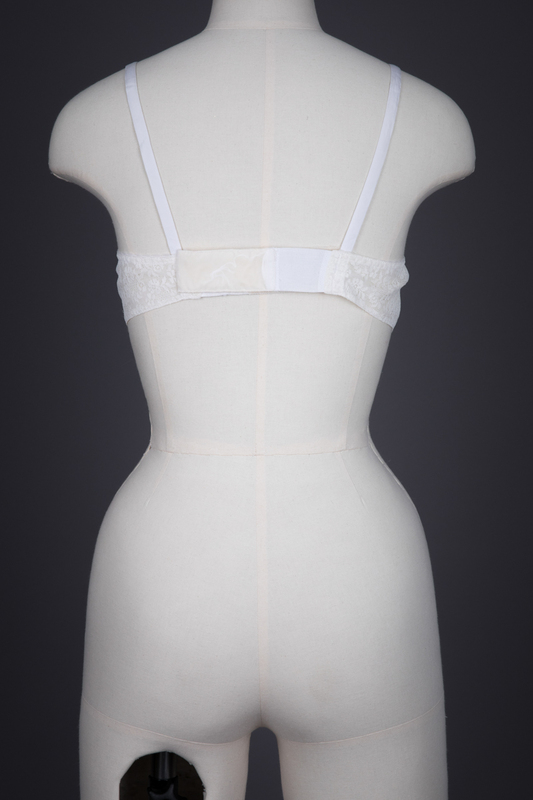 A corselet from the collections was advertised in 1959 as costing £7.19s.6d, approximately £170 in 2016. Although the garment’s label states that it was ‘Made In France’, it is likely that the garment was mostly manufactured in England under license and later ‘finished’ in France for greater brand prestige. Christian Dior was a trailblazer of post-World-War-Two fashion, launching his ‘New Look’ collection in 1947. The previous war years took a very economical approach to fashion, with many restrictions on clothing. 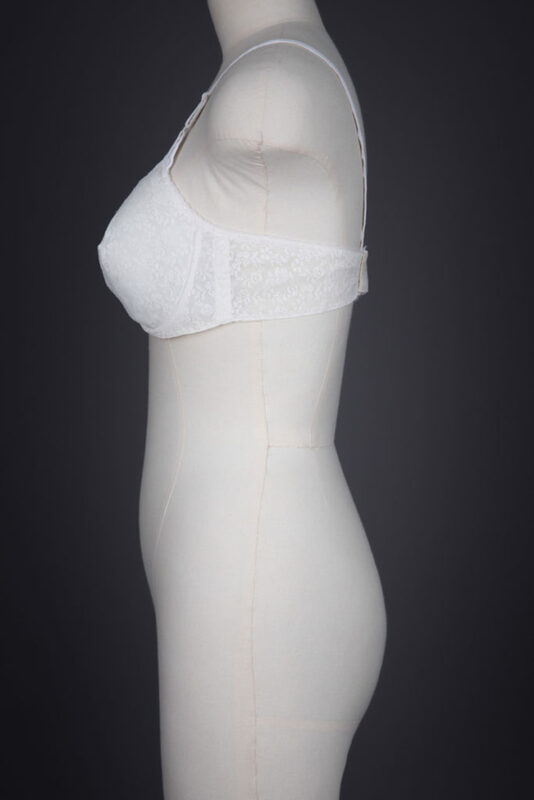 Initially the ‘New Look’ was criticised, as it centred around the image of a corseted figure with sloping shoulders, a small waist and long, voluminous skirts. 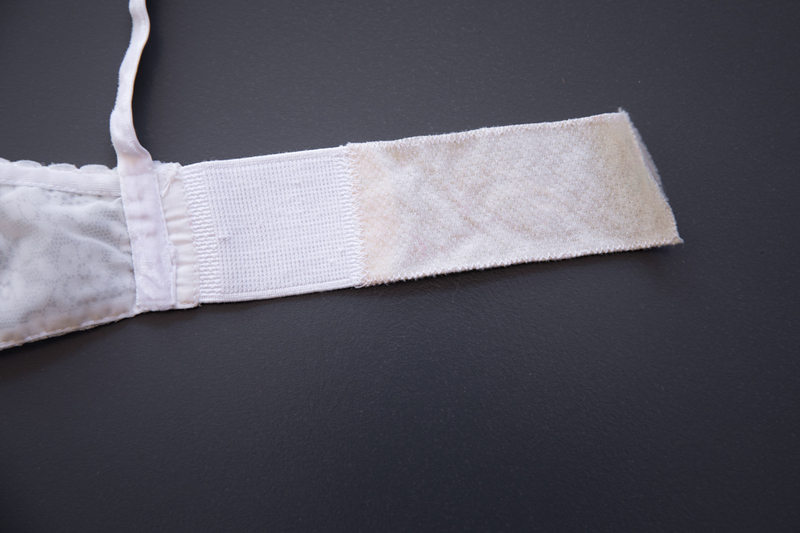 It required specialist foundation garments to achieve, as well as a great deal of fabric at a time of economic shortages. The collection ended up defining an entire era of fashion, with Dior emphasising the importance of foundation-wear to achieve the appropriate silhouette for outerwear. The license for ready-to-wear Christian Dior lingerie was won by the R. & W.H. Symington factory in 1957. The range’s designs were outlined in Paris, then refined and produced in the Leicestershire-based factory. The range was very exclusive and sold in high-end department stores such as Harrods and Selfridges. The collection was launched in September 1957 at the London-based Savoy hotel; although Christian Dior himself was meant to attend the event, he passed away within the month. 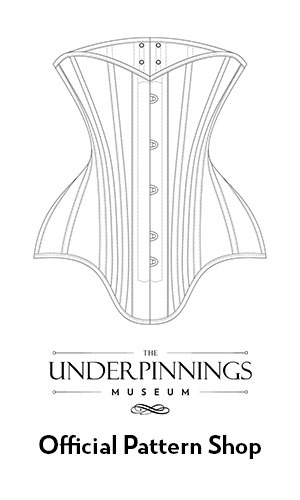 This bra is from the same collection as this iconic girdle design, held in the Victoria & Albert Museum archive.